The contrasting structure of the album title suggests an artist toying with a multitude of feelings. This leads into a record supported by a strong indie spine, flavoured with folk sensibilities and allowed to saunter into occasional classic rock territory. 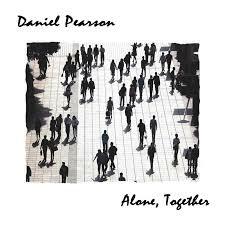 ALONE, TOGETHER is Daniel Pearson’s third album release and joins his previous efforts in punching above its weight. This time a central streak of orchestral grandeur weaves around the variety of core guitar input suggesting a middling maturity to Daniel’s music. Not an ounce of the forty minute playing time is wasted as nine tracks succinctly portray the intended conviction of a singer-songwriter strong on sentimental message. The numerous string arrangements differentiate this from Daniel’s other albums which have all had their release on Saint in the City Records. However the carefully constructed lyrics remain to decorate a clarity evocative vocal style ensuring maximum listener impact. If you’re acquainted with Daniel’s music, there will be an air of familiarity in the track ‘I Still Believe’ as it gets a subtle makeover from its original version appearing on 2012’s MERCURY STATE. While an element of curiosity revolves around the re-work, the effect of this outstanding and resounding anthem is rock solidly profound and retains the power to impress. While similar anthemic vibes surround the track ‘War Stories’, it is probably album opener ‘Hymn for the Hopeless’ which delivers the record’s strongest theme. With the strings in full flow, this antidote to despair gives a voice to the moments of somber feelings and reveals Daniel’s song writing with its deepest sense of conviction. On the acoustic front, Daniel mixes more violin input with standard folk instrumentation on ‘The Open Sea’ a track which sees the writing at its figurative finest. ‘Come Back Around’ memorably closes the record with similar acoustic effect and successfully plants a yearning desire in the listener’s mind. For those requiring a little extra rock sound to their music, both ‘The Bridge’ and ‘Rivers’ will oblige. The latter is not afraid to let the electric guitar take control from the opening bars, while the former is that directive stray into the waters of classic rock, albeit in a mild portion. ‘As Deep as Love’ and ‘Circles’ seamlessly merge into the mood of the album without necessarily reaching some of the peaks, but still maintaining the continual flow of mixing prime passion with sensitive nuances. ALONE, TOGETHER is powerful music with a conscience, awash with acoustic reverence and orchestral pomp. 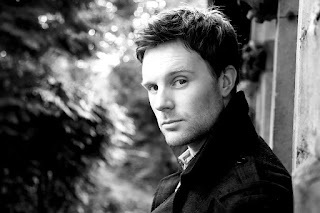 Daniel Pearson’s style offers compassionate writing with stirring emotion and each release adds more than a ripple to any pool of placid singer-songwriter activity. The record deserves a chance to impress and will reward subsequent choices.